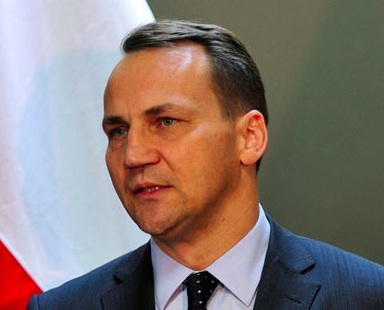 While the London story unfolds, the American media have largely overlooked the remarkable intervention of Poland’s foreign minister Radek Sikorski, who made front page news in Europe a couple days ago with a speech in Berlin calling for closer European integration and for Germany to step up and lead the whole thing with a firm hand. He also had some hard words for Britain (as does his wife, Washington Post columnist Anne Applebaum, in today’s paper; looks like a spousal pincer movement to me). The inevitable conclusion is that this crisis is not only about debt, but primarily about confidence and, more precisely, credibility. About investor perception where their funds are safe. Let us be honest with ourselves and admit that markets have every right to doubt the credibility of the Euro zone. After all, the Stability and Growth Pact has been broken 60 times! And not just by smaller countries in difficulty, but by its founders in the very core of the Euro zone. If credibility is the problem, then restoring credibility is the answer. Institutions, procedures, sanctions that will convince investors that countries will be capable of living within their means. Hence, that the bonds they buy will be repaid, preferably with honest interest. . . The Euro zone crisis is a more dramatic manifestation of the European malaise because its founders created a system in which each of its members has the capacity to bring it down, with appalling costs to themselves and the entire neighborhood. The break up would be a crisis of apocalyptic proportions beyond our financial system. Once the logic of ‘each man for himself’ takes hold, can we really trust everyone to act communitarian and resist the temptation to settle scores in other areas, such as trade? Would you really bet the house on the proposition that if the Euro zone breaks up, the single market, the cornerstone of the European Union, will definitely survive? If we are not willing to risk a partial dismantling of the EU, then the choice becomes as stark as can be in the lives of federations: deeper integration, or collapse. . . The European Commission needs to be stronger. If it is to play the role of an economic supervisor we need commissioners to be genuine leaders, with authority, personality – dare I say charisma – to be true representatives of common European interests. . . Which brings me to the issue of whether an important member, Britain, can support reform. You have given the Union its common language. The Single Market was largely your brilliant idea. A British commissioner runs our diplomacy. You could lead Europe on defence. You are an indispensable link across the Atlantic. On the other hand, Euro zone’s collapse would hugely harm your economy. Also, your total sovereign, corporate and household debt exceeds 400% of GDP. Are you sure markets will always favour you? We would prefer you in, but if you can’t join, please allow us to forge ahead. And please start explaining to your people that European decisions are not Brussels’ diktats but results of agreements in which you freely participate. . .
And I demand of Germany that, for your own sake and for ours, you help it survive and prosper. You know full well that nobody else can do it. I will probably be first Polish foreign minister in history to say so, but here it is: I fear German power less than I am beginning to fear German inactivity. You have become Europe’s indispensable nation.